Thompson Pharmacy | it's all for YOU! Mouthwashes — the finishing touch! 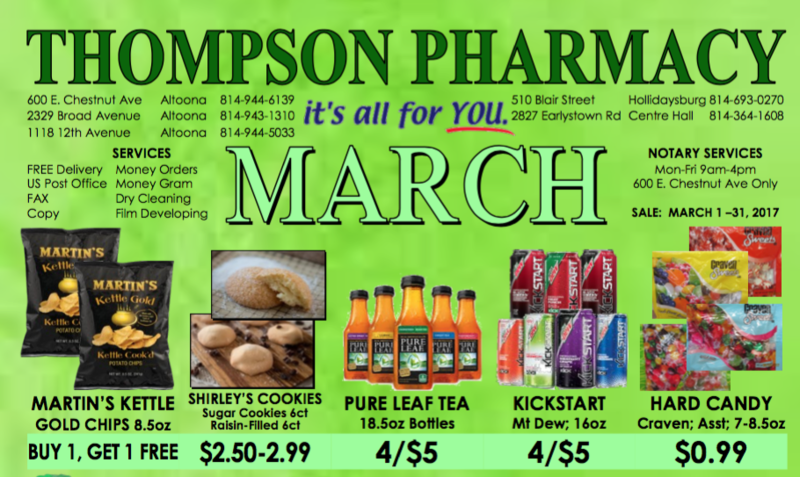 Thompson Pharmacy March 2017 Flyer! Thompson Pharmacy has the perfect gifts. Browse through our March flyer. CLICK HERE to download or print the March 2017 flyer.